Sometimes an album gets released that slowly creeps under the radar, and this new one from Fireflight has just done that. But I didn't want the release of Now to pass without telling you that actually, this album is the strongest album the band have made to date. 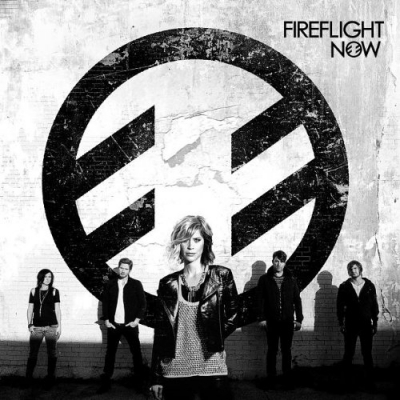 Read More Sometimes an album gets released that slowly creeps under the radar, and this new one from Fireflight has just done that. But I didn't want the release of Now to pass without telling you that actually, this album is the strongest album the band have made to date. 'Now' is the fifth album from the band, with the fourth being 'For Those Who Wait' which followed 2002 independent release 'Glam-rok', 2006's 'The Healing of Harms' and 2008's 'Unbreakable'. Fireflight are Dawn Michele on lead vocals, Wendy Drennen on bass guitar, Justin Cox and Glenn Drennen on guitar with Adam Mcmillion on drums. The album opens with two hard hitting songs, Stay Close and Ignite, and nothing can take away from the high energy drums, hard hitting bass and loud guitars. But in that mix, what you wouldn't expect to hear is the sweet vocals of Dawn Michelle. To say her soft pure vocals are lost in this hard-rock album would be a lie, as she can sing with aggression and passion and even anger as well as anybody, but when you take all that away there is a still a strong yet soft vocalist coming out. You always look for something to stand an album out compared to other releases and actually during tracks like Escape and He Weeps it's the vocals that draw me to want to listen more. Dawn's vocals are sung with such character and bellicosity, yet at the same time keeping that energy tightly together, that she doesn't need to scream or shout to express her pain and joy. The whole album is jammed with hard rock songs like Stronger Than You Think and Dying For Your Love, and if you like big guitars and solid drumming then this album is for you. The album deals with many different topics, from pain and despair in those broken dreams, to making mistakes - but actually looking at these topics through fresh positive eyes. This album is one to sing out loud through the tears, showing that there is something better to come no matter what you're going through.